Technology has a questionable reputation. Look around. A simple Google search using “technology” and “language” brings up a variety of debates over how technology could be the ultimate downfall of the English language. Texting, autocorrect, spell check, emojis. Each of these technology advances are contributing to the delinquency of students, many experts claim. Are these the mortal enemies of our written communication? Or, is technology the victim of some bad PR? One of the biggest complaints about technology and spelling is how the advent of spell check/autocorrect and texting has helped create a generation of sloppy spellers. But, is technology truly the culprit in the imminent destruction of our language? In this case, the problem lies with how people allow the tool to override their responsibility and common sense when it comes to their writing. When used appropriately as a way to educate the reader or writer, these technology tools can improve users’ literacy skills. The real trick to getting the most out of Grammarly is knowing when to have confidence in your word choices and ignore its suggestions. For example, Grammarly loves to point out when the passive voice is used (see what I did there? ), but skilled writers use passives for style or to put emphasis on one part of speech over another. In other words, writers must use the technology as a guide, not a substitute, for their work. This is especially true for students, who are still learning the nuances of the English language. 2015 Scripps National Spelling Bee co-champions Vanya Shivashankar and Gokul Venkatachalam both cite reading as a way they boosted their spelling prowess. The more books they read, they said, the more exposure they had to new words. Both students were able to add these new words to their growing vocabulary and spelling word lists, which helped prepare them for the competition. E-readers such as the Amazon Kindle make reading easier than ever because of their portability and wide variety of books it gives students access to in one, convenient device. The ability to interact with words on an e-reader also helps students engage with them on a deeper level; they can look up definitions, discover the word’s history, part of speech and more. 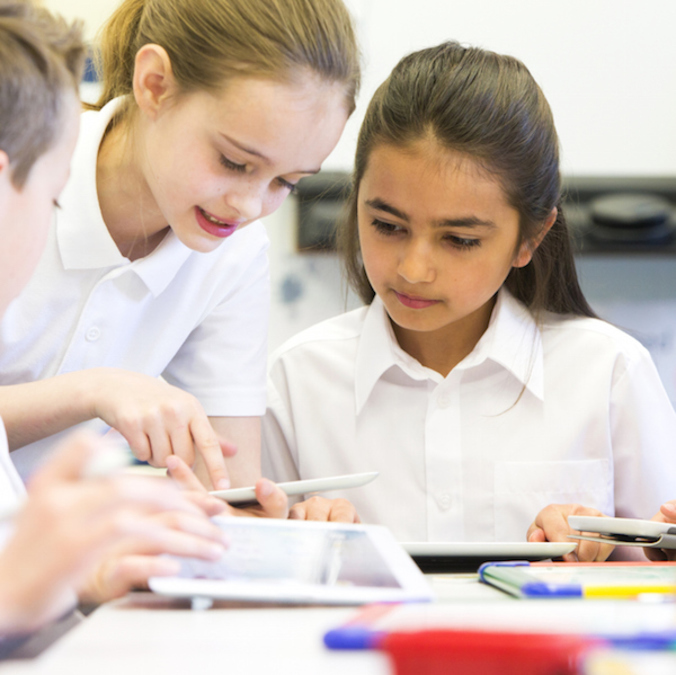 By increasing the ways in which students connect with a word, e-readers assist students in making new words a permanent addition to their everyday lives. Need to improve your spelling or reading? Yes, there is an app for that. Actually, there are too many to count for students of all ages. Not only are they helpful for native English speakers, but also for English Language Learners. There are a variety of apps that provide the ability to play with the language, listen to the language or find more efficient ways to study spelling techniques, definitions and word origins. Spelling Monster by Desire Life Software. Recommended by Today’s Parent magazine, this app allows parents and students to create their own lists, adjusting the difficulty of the words along the way (up to 13-letter words, if desired). Multiple mini games keep the player interested, and parents and teachers have direct access to user statistics through a special parent page. Spelling City by SpellingCity.com. This free app brings together audio and visual technology to inspire the player to learn new words. The SpellingTestMe game reads each word aloud, uses it in a sentence and repeats the word, just like a spelling bee. Users get instant feedback once they submit the test. There are other games that include a version of hangman, a word scramble, and a way to build a monument with correct spelling. Quizzard Lite by GabySoft. Moving away from the game-centric apps for a moment to look at one geared for older students. Quizzard Lite makes the traditional index cards used for memorizing obsolete. Students create their own flashcards they can carry with them on their smartphone or tablet: a perfect option for short study sessions on the bus, waiting in line or hanging out with friends. CoffeeStrap: Language Exchange by CofeeStrap: A truly immersive way to learn a new language. This app connects users with others around the world who are native speakers in the selected language and provides the opportunity to text and speak in that language. Developers even included a way for the app to detect which language users speak and track their improvement along the way.